President Obama has launched the Office of Public Engagement. This is great news for the public and even greater news for those of us in community management who spend our days and even nights engaging users online. 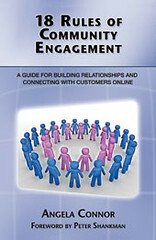 I have written a book devoted to this entire topic of Engagement. So this is huge for me. I am literally on cloud nine. If the president finds it important enough to build an entirely new office devoted to engaging the public, how important do you think it should be for you and what you do?